Who needs plot? 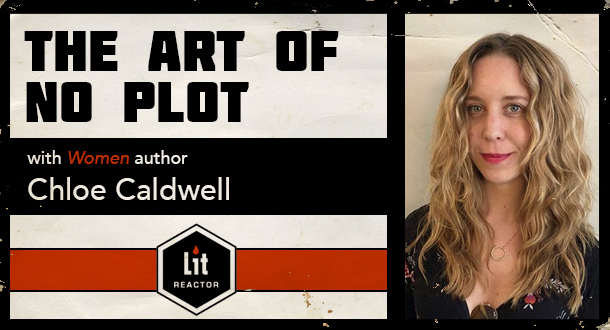 In this four-week workshop with acclaimed author Chloe Caldwell, you'll learn that in order to stay true to the surprises and twists in your life, you may need to put plot aside. It’s 2019, and writing is changing. Some of the best books winning awards and hearts are plotless. Anyone can think of a plot, but without it, how can you make your essay or memoir compelling? Life is full of surprises and twists, and to stay to true to the actual events in your life, plot has to be dropped. In this class you will explore contemporary and classic essays that brazenly go plotless, and students will finish class with new and exciting tools and techniques to make their own writing shine in an untraditional way. In week one you will watch videos and read essay and memoir excerpts without plots. Writing prompts will be assigned and feedback will be given. You will read Joe Brainard, Michelle Mirsky, and Lidia Yuknavitch. What’s in Place of Plot? When you finish a book you loved, think about why you loved it. Is it because of the voice? The characters? How the “place” came alive? Or the experimental structure it was written in? Why will someone turn the page of your book if they aren’t waiting to hear how the plot comes out? This week you'll focus on other aspects that make your writing strong and unique: voice, pacing, elision, theme, and setting. You will read pieces by Eileen Myles and Dorothy Allison. In week three, Caldwell asks the students to take from a story or piece of writing they have, and remove the plot. This way they are writing around the plot, and might find something unexpected there. Readings and feedback on work will be provided. You will read essays by Samantha Irby and Chelsea Martin. Inspired by the three weeks above, students will choose from the techniques they’ve learned and write their own plotless essay. Caldwell will provide feedback and suggest places for students to read and submit their essays.